Put A STOP to Your Skunk Problem NOW! Protect your Family, Pets, and Home with the Local Skunk Control & Removal Specialists! Getting rid of your Skunk Problem is just a call away. 1st time customers save $50 instantly! Bird Control Service You Can Count On! Don’t let birds make your home theirs! Your local and proven Bird Control Strategy is only 1 call away. Possum Problems? We’ve Got You Covered! Are Possums wreaking havoc in your garden, rummaging through your garbage or setting up a den under your deck or house? No need to worry, you’ve found your local Possum Control Solution! Residential Wildlife Control and Removal issues have you searching for solutions? Search no more, your Wildlife Solution is here! Our Locally and Operated Wildlife Control and Removal Company is here to solve your Wildlife Problem. Protecting your family, Pets and Home is just one call away. Our 5 Star rated Wildlife Control and Removal Strategy has helped customers just like you solve Wildlife problems and enjoy their homes and yards. 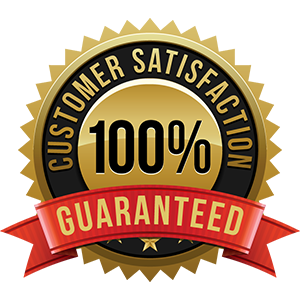 Our Satisfaction Guarantee gives you the peace of mind that you will receive the Best Customer Care for you, your family, pets and home. Need help identifying a pest or not finding one listed on this page? Give us a call and we’ll help you out. When you have a Wildlife Problem, you want it gone now! You can count on All N One Pest Eliminators to be at your home within 24 hours of your first call. Our Wild Animal Control Specialist will speak with you to understand the current issue and major points of concern. They will then inspect your property for potential causes for the current issue and additional Wild Animal related areas of concern. Once your tech has completed the inspection, they will discuss their recommended treatment options with you and provide an estimate for you to review. With our Wildlife Control Strategy in place, our technicians will jump into action. Depending on your current type of wild animal problem, your technician may recommend placing one or more humane wildlife traps and bait to lure the animal out. You can rest assured that we will always use the most Environmentally Friendly products available for your type of wildlife problem. You can enjoy peace of mind we take every precaution to keep your family and pets safe before, during and after treatments. Once the traps have been placed to capture the animal, our technician will monitor the trap for activity. Once the animal has been captured, our technician will remove the animal from your property. Depending on your current problem. Multiple visits may be required to successfully trap and remove all the invading wildlife. Treating the immediate Wildlife Problem is only one part of protecting your home from unwanted animals. Addressing why your home was targeted by wildlife and where they gained access to convenient nesting areas is essential for preventing future Wildlife Infestations. Our techs will locate potential areas the wild nuisances may use to nest near and around your home. They may then provide optional treatments to help avoid future wild animal invasions. Birds can build nests and roost in your gutters and awnings causing damage to your home and property. Luckily our trained bird control experts have help home owners just like you protect their homes from these unwanted invaders. You can count on All N One Pest Eliminators to be at your home within 24 hours of your first call. Our Bird Control Abatement Specialists will speak with you to understand the current issue and major points of concern. They will then inspect your property to identify the reasons your home may have been targeted and if the birds have caused any damage to the roof, gutters, eves and sidings. Once your tech has completed the inspection, they will discuss their recommended treatment options with you and provide an estimate for you to review. Our treatment process starts by disinfecting the affected area by removing droppings and nesting materials. Once your home has been cleared and disinfected, your technician will install deterrent devices. Depending on the type of problem birds, this could include bird spikes, bird netting and mesh screening. These materials make it uncomfortable for birds to eat, rest, and nest on your home. After you home has been treated with the bird deterrents, follow up visits are recommended to ensure the materials have not been damaged or the birds have not discovered new nest and rooting areas. Your technician will provide you with recommendations for ways to keep the birds from returning to your property. Raccoons can live in your attic, chimney, under your deck or other crawl spaces. They make a mess of your garbage, steal your family pet’s food and can carry diseases and other pests. Schedule your raccoon control and removal inspection today. 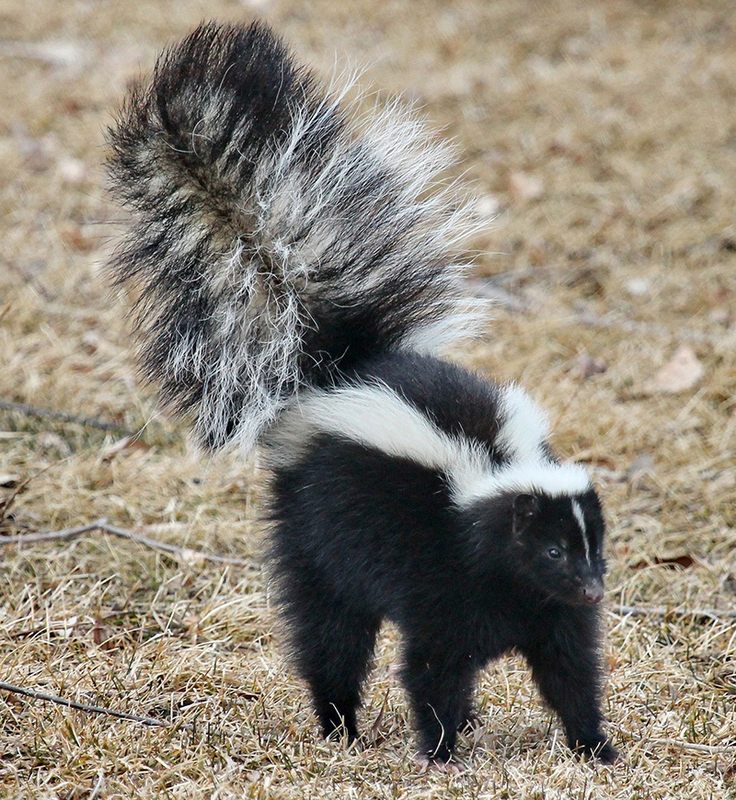 Skunks Stink! Protect your family, pets and home from Skunks with our proven Skunk Removal Strategy. Our Diamond Certified Wildlife Control Experts can trap annoying and potentially dangerous Skunks safely and humanly. Bats are federally protected during their breeding season from June 1st to August 31st. Our Bat Exclusion Experts use our proven process to remove any infestation, disinfect your home, and seal potential entry points bats use to keep your home bat free. Did an animal die on your property? Protect your family from disease, avoid attracting scavenging animals, and the smell that come with decomposing animal carcasses with one call to All N One Pest Eliminators! Hear Noises in your walls? Have an odor you can’t locate? We are here to help find and eliminate your problem! Our wildlife control technicians can use a minimally evasive digital video camera or infrared detection device to inspect hard to see areas of your home. We will locate the cause of the noise or smell and provide a solution to your problem! Wildlife Intruders Stay Gone with All N One! If your Wildlife Problem crawl, chew, or dig their way back into your home or property within 30 days of service, our team will provide a quick response time to treat the problem again at no additional charge with our 100% Satisfaction Guarantee! Walter and John made a terrible dead animal experience less terrible. Professional, on time, courteous, and just good people. We had another company come out the day before and they could not find it! The smell was so bad we were going to leave our home. Walter and John knew exactly how to locate the deceased and they did not give up until they had it removed. They cleaned up the mess and it was like nothing ever happened! So grateful All N One sent these two gentlemen on such short notice. I’m glad I found this company on yelp. I called them in January 2017 because I thought I had a raccoon living under my house. Luckily the technicians came out and sealed the entry points to my crawl space. The raccoon must have moved on before they came. We called All N One after we thought we heard animal noises like rats in the attic. They sent a critter control guy out the same day! Turns out we didn’t have rats in the attic, it was a squirrel! They inspected the whole attic and found potential entry points. Then they set up safe and humane squirrel traps to catch them. They came back to check the traps and check for any additional squirrel damage. Once they were certain we free of nuisance wildlife, they did some animal proofing and sealed the entry points. Great quick and through work!